In every business, the work that goes on behind the scenes should be as clear and transparent as possible. One of the more difficult things for our guests to understand is the complexity surrounding the pick-up times for our evening safaris (Platinum and Heritage Dinner Safaris). I will attempt to summarize the reasons why a precise pick-up time cannot be provided at the time of booking. Basically, it comes down to three factors. Our experience is heavily reliant on the timing of the setting sun. 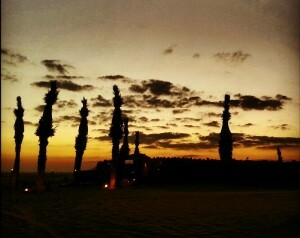 One of the most magical times in the desert is the rich hues of the sun setting over the dunes. All of our timing works around this natural phenomenon as this is an experience we do not want our guests to miss. However, between the summer and winter solstice, there is almost 2 hours difference between sunset timing. For example, on December 1st, 2013, the sun will set at 5:28pm. As a comparison, the sun will set at 7:13pm on June 1st, 2014. It would be no fun if we started our wildlife drive at the same time all year as we would miss the sunset completely in December and would be having dinner in daylight in June. It is for this reason that pick-up times vary by approximately 20 minutes every month or approximately 1 hour every 3 months so that we can move in rhythm with the sun. 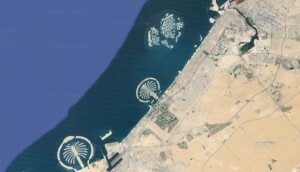 Dubai is a long, thin city spread over 45km (between Sharjah and Jebel Ali). As a comparison, the length of Downtown Sydney = 8km long, Tokyo =10km, Moscow = 21km, and Manhattan =26km. Squeezed with-in this stretch is 650 hotels and hotel apartments where we will collect our guests. 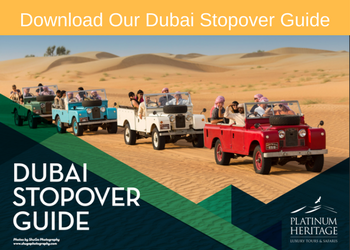 This means that a hotel pick-up time in Jebel Ali will always vary from The Palm, Downtown or Festival City. It would be impossible to allocate each hotel a separate time so a “range” is initially established internally over 12 separate zones. If a shared pick-up is chosen, guests from neighboring hotels will be sharing a seat in our Mercedes Viano, Sprinter or G-Wagon. Only once we have closed sales for the day (3 hours prior to pick-up) can we start to allocate which hotels can be clubbed together for the convenience of all guests. It is only then that we can allocate an accurate pick-up time. I will give you an example of how the same hotel could have 3 different pick-up times on the same day, depending on the location of the shared transport allocation. As you can see from these examples, guests staying at Rixos, The Palm, can have a pick-up time with a 45 minute range just based on the hotel pick-ups they are grouped together with. It also takes a tremendous amount of skill as the allocator needs to have accurate idea of the driving distance between any of the 650 hotels to each other. This takes an intimate knowledge of every inch of the city. 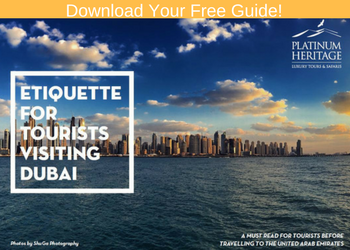 However, this knowledge has to become even more in-depth as the day of the week will also vary the time between two points (i.e The timing between hotels on Jumeirah Beach Road on a Friday is very different than a Wednesday due to heavy traffic on weekends). W12 x X650 x Y3x Z7 = 163,800 possible pick-up times. Rather than simply giving a rough range or accepting delays on a daily basis, our staff behind the scenes work on this incredibly complex task on a daily basis to give you an accurate pick-up time so that you don’t waste any of your valuable vacation time. Unfortunately, there is no computer system available that would be able to forecast all of these variables and it is still a manual process. So when your Safari Guide arrives into the hotel lobby on time with a smile on his face ready to welcome you on your safari, you can understand and appreciate how a complex task complete with tens of thousands of variables have all come together in harmony, all behind the scenes so you can sit back and relax, and enjoy your night with Platinum Heritage.